The famous shape. The celebrated pose. The big boots. 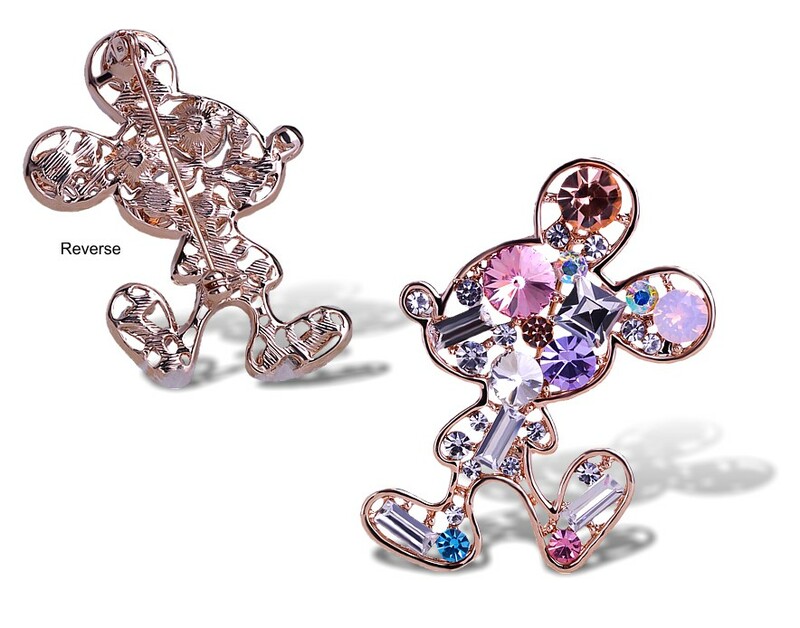 All the characteristics of Disney’s most iconic mouse, created in a rose gold setting with utterlly dazzling crystal clear rhinestones, embellished with crystals in shades of pink, blue, topaz and moonstone. Delightful on a lapel. Perfect on a pocket or hat. And the perfect gift for all ages. Size: 5 x 3.5cm (2½” x 1¾”).